The most common of conveyors, the belt conveyor is a style of material handling equipment which assists in moving materials with irregular surfaces. 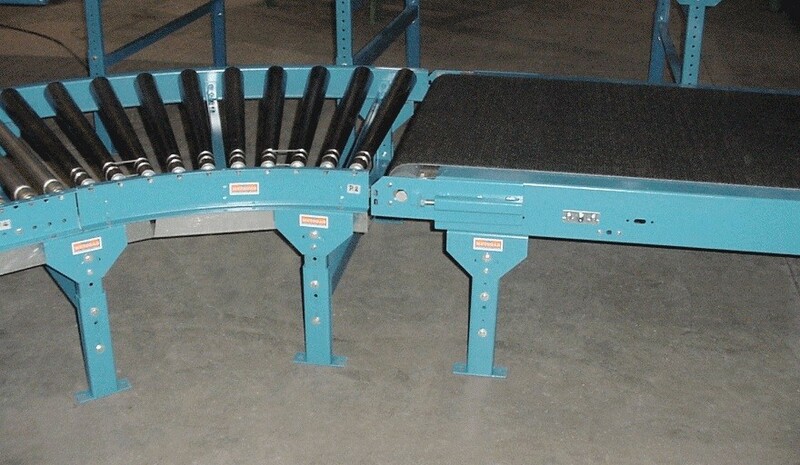 It is also employed for small items and bags of product that would sag between roller conveyors or chain conveyors.A labor saving system, belt conveyors allow for larger volumes to move quickly, causing higher shipping and/or receiving volumes for companies while utilizing less space and labor expense. 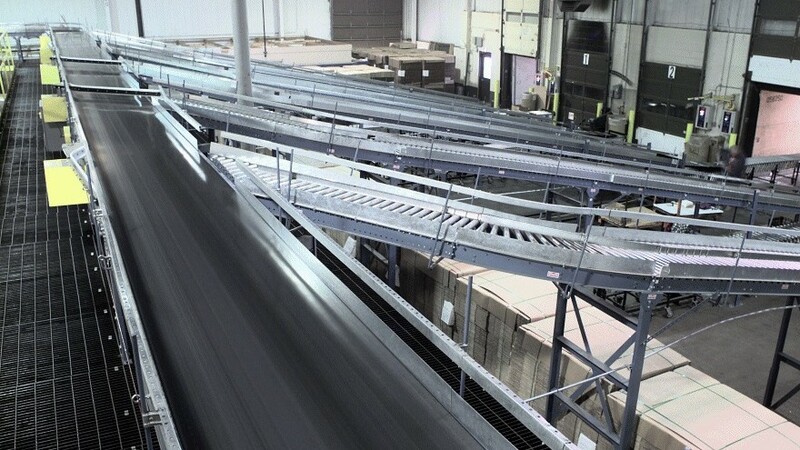 Providing a smooth surface, belt conveyor systems are used for applications such as material handling, automated distribution, warehousing and bulk handling. There are two main types of belt conveyors: PVC/Pu, or polyurethane, conveyors, which are commonly used in food processing and pharmaceutical industries because polyurethane is a food grade material; and modular belt conveyors, which are generally slightly more expensive, but considered to be superior because of better durability, easier maintenance and the absence of tracking devices since they run on guides. Some additional conveyor types include enclosed belt conveyors, incline belt conveyors, portable belt conveyors and steel belt conveyors. Belt conveyors consist of a wide polymer or rubber belt wrapped around two or more pulleys which turn in the same direction and rotates the belt, giving the belt and objects on the belt smooth linear movement. The belt is multi-layered with an under layer called a carcass, typically consisting of cotton, mesh or plastic web which is used to provide linear length and shape and a cover, made of rubber or polymers. All or one of the pulleys can be powered by an electric motor which is connected to the pulley through a sprocket and a chain; powered pulleys are called drive pulleys, which also have sprockets, and non-powered pulleys are called idlers. The chain is put around the sprockets to connect to both the motor and the drive pulley, in order for the motor to power the rotation of the drive pulley and allow the belt to slide across the bed and move the material on the belt. A speed reducer is then needed to moderate the speed allowed by the motor and is connected to the motor by a v-belt or “c” face coupling. The motor and speed reducer are both placed under the conveyor bed which can be a solid metal frame bed or roller beds for heavy-duty applications. Roller beds are used for heavy-duty applications because rollers reduce the amount of friction that the heavy load generates on the belt. Also, belt conveyors are recently being manufactured with curved sections that use tapered rollers and curved belting in order to conveyor materials around corners. Belt Conveyors The most common of conveyors, the belt conveyor is a style of material handling equipment which assists in moving materials with irregular surfaces. It is also employed for small items and bags of product that would sag between roller conveyors or chain conveyors.